This is a new-to-us dish this summer. I've tried antipasto in the past, and to be honest it really didn't appeal to me a whole lot. 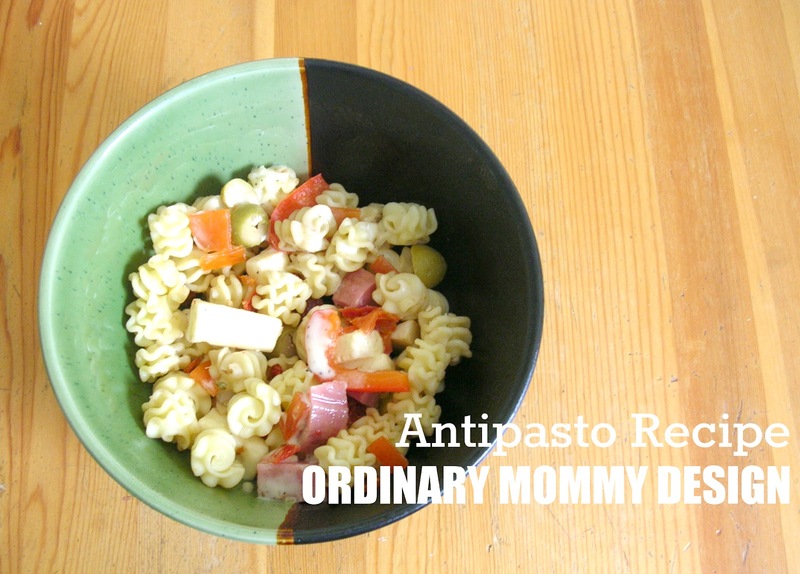 But my husband had a hankering for antipasto, so I set out to do something about that. Cook pasta according to package directions. Slice the red pepper, and then saute until just tender (or leave it raw if you prefer). 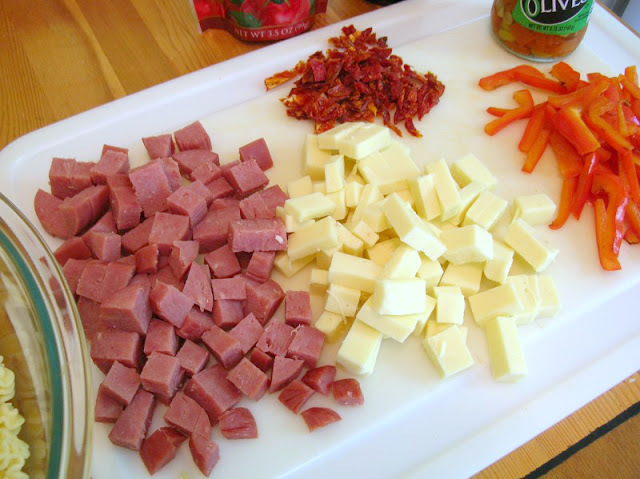 While waiting for the pasta to cook, cube the summer sausage and cheese, and thinly slice the sun dried tomatoes. When the pasta has cooked, remove it from the heat, drain, and then run cold water over the pasta to cool it. Put all of the ingredients in a large bowl and toss with balsamic vinegar to keep it from becoming too dry. I don't add Italian dressing directly to the bowl in case there are left-overs to refrigerate, instead we add it to each bowl as we eat it. Also, if you don't want it to be too pasta-heavy you can add the pasta last to get a good ratio. I'm super bad at settings servings for my recipes, but this should feed 6 as a main dish, or 8-10 as a side dish. Enjoy! Thanks for sharing .Keep posting articles like this.A good example of content presentation.A piece of information from you every now and then is really great.